A designer’s growth has to do with their willingness to try new things and learn from their failures. Leading with her creative core, Bliss Lau trusts her hands to make the first move, watching as instinctive beauty emerges and learning as she goes. Her curiosity propels her to want to master new things, each experience building on to the next. Bliss continuously refocuses inspiration by listening to her inner voice and reviewing her work. Bliss launched her design line with a set of leather handbags. She continued to transform her practice by experimenting with different materials and processes, learning to work with metals and precious stones and gems. She transitioned into creating body jewelry, concept pieces that use the chain as "a line to draw on the body, and create different shapes on the form." 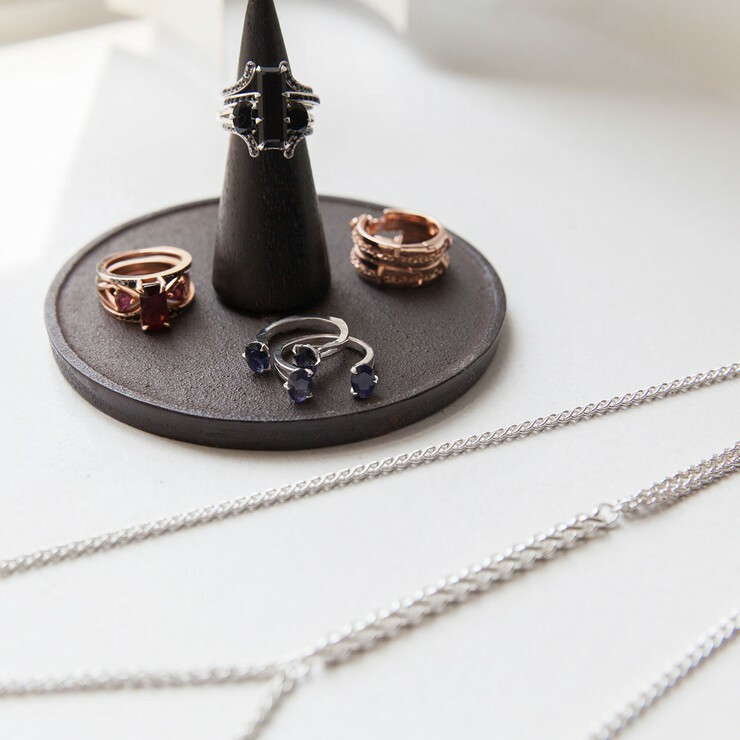 Today, she focuses on fine jewelry made with materials that can be worn directly on the skin. Bliss wants her clients to feel empowered in her designs, channeling their self-expression, curating a unique personal aesthetic from the versatility of her pieces. Bliss’ work is her statement, both on and off the body. 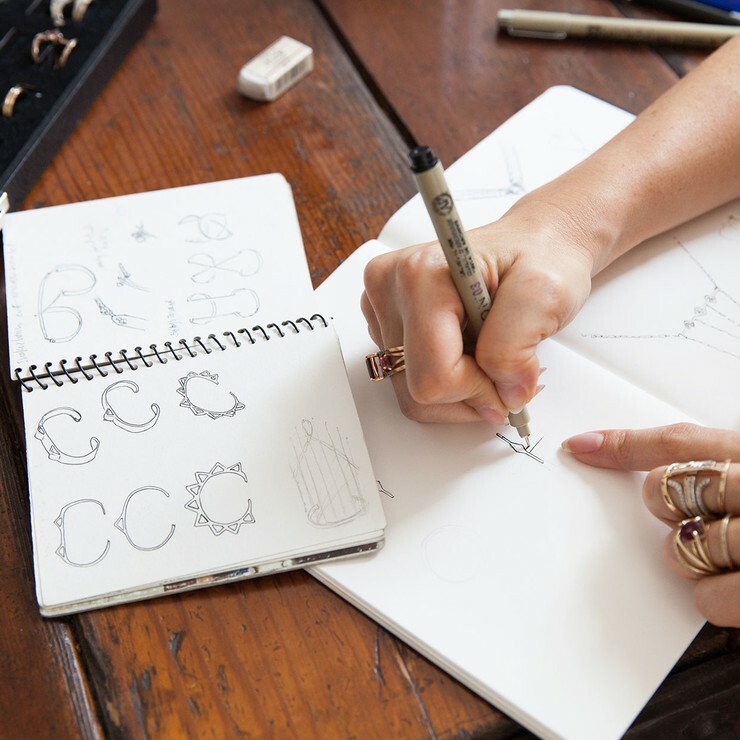 By tightly managing her studio from both the business and artistic ends, she has been able to remain autonomous, while maintaining creative direction of her designs and brand. For Bliss, creativity is a muscle. Like any other muscle, creativity requires regular exercise to become stronger. She transforms the mundane aspects of life into an outlet for artistic expression. It is her way of making creativity an instinctual part of everyday living, and turning work into play. "The Bed of Roses Bodychain encased in a custom made glass rifle case sits below my worktable in the studio. This was one of my first bodychain designs, the center ‘stone’ is a faceted metal crystal that I created thus launching the beginning of my interest in additive design…creating castings and developing ideas outside of simply draping chain." "I love a good thank you card. My friend Jacqueline sent this dinosaur with a body chain on it to me as a thanks!! I think I will keep it forever." "My father makes pottery in his spare time…He took it up at age 55 or so… he’s completely amazing at it. He sent this to me after my design studio building flooded during Hurricane Sandy. We lost our studio for six months .. That year he made me this ‘ark’ so that I would never get flooded again! Love him."